Browse through Shacknews' collection of The Division 2 game guides covering everything from missions and gear to collectibles, locations, and more. There's a lot to see and do in Tom Clancy's The Division 2, and sometimes players need a little help. Fear not, dedicated gamers, for Shacknews is here with a selection of game guides geared specifically toward players making the most out of Ubisoft's latest post-apocalyptic shooter. Find out which perks players should unlock first, including why they're a good fit for starting Agents. Brush up on the different Specializations and Signature Weapons available around the ruins of Washington D.C.
Get down to the nitty gritty details concerned the game's different core skills and unique skill mods. What is the max level cap in The Division 2? Discover the informal line between the main campaign and endgame content by learning more about the max level cap. Here's everything you need to know to craft new items and gear in The Division 2. Don't lose your progress — learn how saving in The Division 2 works, including how players can trigger a game save at specific checkpoints. Find out how to unlock clothing and change your clothes. Everything you need to know to earn experience and level up quickly. Find out how the unlock the Dark Zone so you can get higher tier loot. Learn how to change your hair, beard and other appearance options. Everything you need to earn money and get more e-credits quickly. Looking for more inventory space? Learn how to increase inventory and stash size by tracking down and equipping the Inventory and Stash perks. Everything you need to know to go Rogue in The Dark Zone. Find out how to increase your World Tier and make the most out of endgame content. Learn how to upgrade your Crafting Station so you can craft Superior and High-End weapons and gear. Learn more about each of Gear Sets in The Division 2 as well as all of their perks and bonuses. Everything you need to know to find all the Artwork, Founding Fathers, Relics and Memorabilia Artifact locations. Find out how to get Hyena Keys, True Son Keys, Outcast Keys, and Black Tusk Keys so you can unlock caches. Learn everything you need to know to find dye locations and customize your look. Everything you need to know to get all 12 Hunter Masks in The Division 2's endgame. Here's the easiest and most productive way to farm Printer Filament quickly. Upgrade your arsenal with the Merciless Exotic Rifle. Find out how to collect all the parts and craft the Chatterbox Exotic SMG. Learn how to find the Snitch, who will lead you to the secret vendor and gunrunner Cassie Mendoza. Learn how to disable the 'agent needs backup' calls that you continually receive while playing The Division 2. Is The Division 2 available on Steam? Find out if Ubisoft's new hit shooter is or is going to be available on Steam. Here's what you need to know to fix the no sound bug plaguing Agents in Ubisoft's latest release. Is The Division 2 an online-only game? Find out if The Division 2 is online only or if you can play without an internet connection. 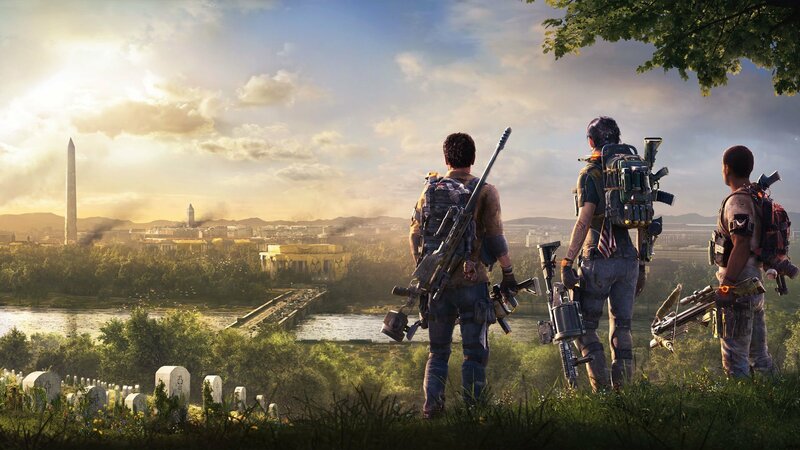 For all of the absolute latest coverage of Ubisoft's post-apocalyptic looter-shooter, including news, features, and video, be sure to head over to Shacknews' The Division 2 home page.